New Evidences: Acidity Theory of Atherosclerosis: The link between air pollution and atherosclerosis: What is the right biological explanation? The link between air pollution and atherosclerosis: What is the right biological explanation? Studies around the world have consistently shown that both short and long term exposures to Particulate Matter (PM) air pollution are associated with a host of cardiovascular diseases, including myocardial ischemia and infarctions, heart failure, arrhythmias, strokes and increased cardiovascular mortality. Very recently it was published a study in humans confirming the association of the exposure to ambient air pollution and atherosclerosis through the progression of carotid artery intima-media thickness (1). In an interesting recent paper by Robert Brook (2) he states that there are three putative ‘general’ pathways to explain the biological mechanisms whereby PM exposure may be capable of mediating cardiovascular events: 1) autonomic mechanisms: parasympathetic nervous system withdraw and/or sympathetic nervous system activation; 2) the release of circulating pro-oxidative and/or pro-inflammatory mediators from the lungs (e. g. cytokines and activated immune cells) into the systemic circulation following PM inhalation that, in turn, indirectly mediate CV responses; and; 3) nano-scale particles and/or soluble PM constituents translocating into the systemic circulation after inhalation that then directly interact with the CV system. 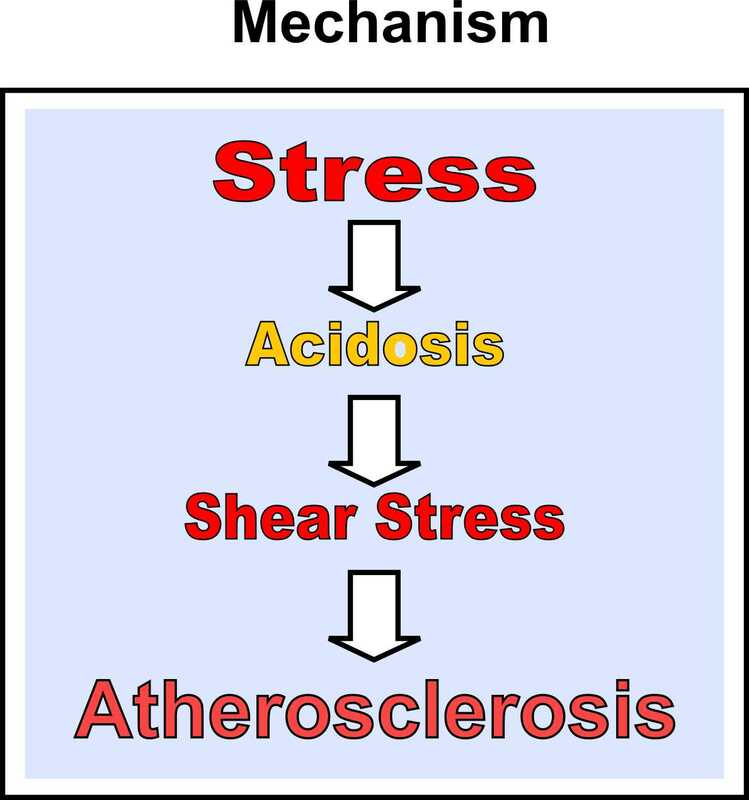 According to Robert Brook, chronic actions of PM and the enhancement of atherosclerosis, are most likely to be induced by the generation of a chronic pro-inflammatory state (pathway 2). Taking in view the results of studies in humans showing that particulate air pollutants continuous exposition decreases the heart rate variability (3,4) and may lead to an impaired autonomic control with potential acceleration in the progression of atherosclerosis (5,6,7), with the due respect, I feel obliged to differ from Brook’s opinion regarding the biological mechanism related to chronic PM exposure and atherosclerosis. 5. Heikki V. Huikuri; Vesa Jokinen; Mikko Syvänne; Markku S. Nieminen; K. E. Juhani et al, Heart Rate Variability and Progression of Coronary Atherosclerosis. Arteriosclerosis, Thrombosis, and Vascular Biology. 1999;19:1979-1985.